The 2017 Annual Scientific Meeting was held in Sydney from 3-5 December 2017 at the Charles Perkins Centre hub, The University of Sydney. Final MEPSA 2017 program updated 20171128. Abstract submission has now closed for this meeting. Register for the MEPSA 2017 meeting. Please join us for the Welcome Reception on Sunday 3rd December as well as the Gala Dinner on Monday 4th December. The nearest airport to The University of Sydney is Sydney Airport. The airport can be reached by taxi or Airport Link Train. The closest train stations are Redfern and Newtown, both within walking distance. Central station can be reached by bus or is also walkable. The location of the Charles Perkins Centre is pinned in the map below, or can be viewed here. Women’s College (750m, 9 minute walk to CPC). Email MEPSA secretary for instructions to secure discount rate. 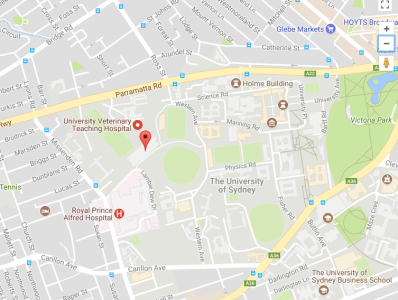 Sydney University Village (650m, 8 minute walk to CPC). Rydges Camperdown (600m, 7 minute walk to CPC). Email MEPSA secretary for discount code. Best Western Haven Glebe (1.6km, 20 minute walk to CPC or take bus). Email MEPSA secretary for discount code. Last modified on May 2nd, 2018 at 4:04 pm.